As a little girl, Kerry Murphy spent two years in a coma after losing her mother in a home fire. Kerry grows up to be a firefighter and then an arson specialist who uses her dog Sam as a cover for her remarkable psychic ability to telepathically sense fires. Kerry considers herself adjusted, at ease with her career and her talent, but she still suffers painful nightmares. Enter Brad Silver, who is also visited by terrible memories—he saw his older brother, a U.S. senator, and his brother's wife consumed by an explosion of fire as they stepped into their limousine. Like Kerry, Brad has psychic capabilities; in fact, he's known as a controller who can invade other people's minds. The president of the United States badly needs someone to locate and disarm a mad pyromaniac named James Trask, who was head of a scientific project funded by the Defense Department—until the project was scratched. Enraged, Trask disappeared and has begun to target his enemies with remote-controlled firestorms. Brad claims he can help Kerry come to terms with her mother's death if she will help him locate Trask. Fiercely independent Kerry demurs until the home of her beloved brother, Jason, is torched and his pregnant wife's longed-for baby dies. Trask himself blackmails Kerry into meeting him alone and her nascent relationship with Brad is sorely strained by her stubborn independence. 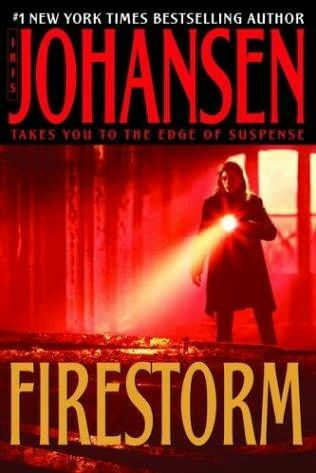 Some of Johansen's plotting is far-fetched, but she ably captures the smell, the smoke and the terror of fire.